HEIRLOOM. The classic sauce and paste tomato. 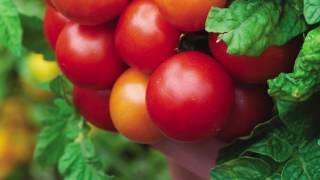 Compact plants produce paste-type tomatoes resistant to Verticillium and Fusarium wilts. Meaty interiors and few seeds. GARDEN HINTS: Fertilize when first fruits form to increase yield. Water deeply once a week during very dry weather. Tomato, Roma VF is rated 4.4 out of 5 by 17. Rated 5 out of 5 by R22H from Disease resistance +++++ This is the most disease resistant tomato I have ever grown. No tomatoes are completely immune to disease, but this one resists actively and last longer than any other plants in my garden. The seeds also last for years. The tomatoes are also my favorite Roma and taste amazing. Rated 5 out of 5 by emmazoemom from So far so good! I stupidly planted every single seed in the packet and got nearly a 100% germination rate THEN I wasn't prepared in the garden for the baby plants, so I stuck them in the front yard and promptly neglected them. Most died, but one lived, but boy, did it live. I have what seems like hundreds of beautiful tomatoes on this plant. My husband is loving each and every one of them. They are cooking up very nicely too! Rated 5 out of 5 by cccc2 from whoa found a package of these on sale in late May- planted seeds May 31.... can you say 100% germination? plants look really healthy and have been blooming and setting fruit... no ripening yet, but I think they are beating their "76 days to harvest" predicted date... came here for some advice on fertilizing....just put them in organic top soil and do not want to jinx a good thing. Rated 5 out of 5 by lucky7s from Excellent tomatoes! I have grown these gorgeous plants many years now. I found some seeds from 2002 and they all (14) came up. Burpee is the best. These plants are large and bushy. I grew them in the ground and container both. Rated 5 out of 5 by MinniDavid from OMG! What did I get myself into? 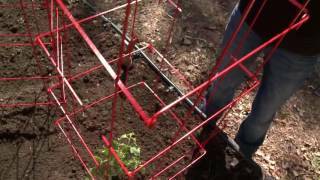 This my first year growing tomatoes after many years of just maintaining an herb garden. I purchased these seeds because someone told me Romas are an easy to grow tomato. UNDERSTATEMENT!!! This site claims 36" in height and an 18" spread. It's now July 15th and mine are a full 48 inches tall and three feet in diameter! This is in Minnesota. This is in 2013, a year with a very cold and snowy spring! I started them indoors on the last week of February and did not get them into the ground until the first week of May. When transplanted, they were a mere foot tall. I only spaced them 24" apart, and now I'm dealing with crowding of vines. I have already counted just over a dozen young fruit, and too many flowers to count. I have a very strong feeling I will run out of Mason jars. Thankfully my Brother said he knows where to stop on his way to work to grab tomatoes for lunch! Best investment, (one packet), I have ever made! Rated 4 out of 5 by katland from great yield This variety has a great yield, higher than any of the other Burpee varieties I planted this year.